Take the stress out of relocations of any size and complexity when you choose our award-winning movers! When you need professional movers that will treat your belongings with the utmost respect while offering the affordable pricing you need, you need Upline Moving. We are a San Ramon moving company that has been providing comprehensive and customer-focused service since 2008. Our honest approach to pricing and quality service has earned us BBB-accreditation and certified ProMover status with the American Moving and Storage Association. We’ve also received the Angie’s List “Super Service Award” for 2015 and, as the “Best in San Francisco,” we have a reputation you can trust! 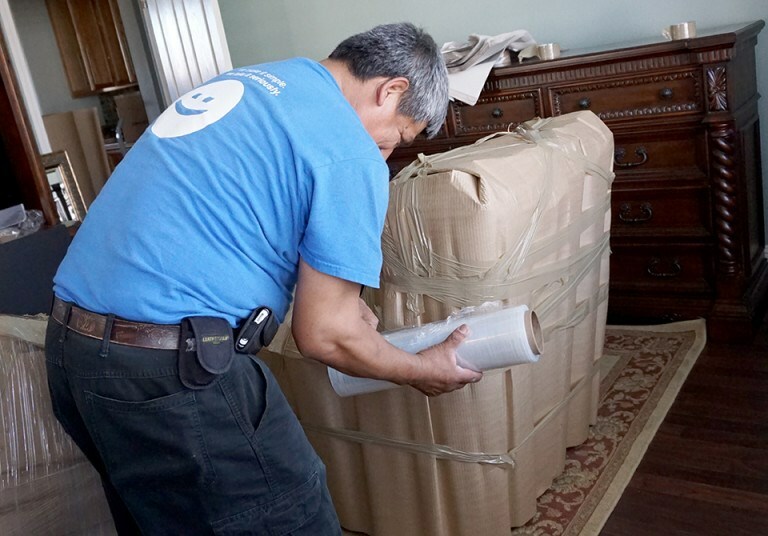 Local Movers: Even local moves deserve the full-service treatment, providing you with a stress-free experience no matter where life takes you! Cross Country Movers: As cross country movers that offer all the packing, delivery, and storage services you need, you will be glad to discover Upline Moving! Interstate Movers: For interstate movers that will be as careful and respectful with your belongings as they would be with their own, look no further than our experienced team. Senior Movers: We are proud to provide seniors with custom moving plans, attentive care, and affordable pricing for any local or long distance relocation need. Last Minute Movers: When you need to move in a hurry, our last minute movers offer the resources, solutions, and guidance you’re looking for! Upline Moving provides secure short term and long term storage for completing your move with ease. We have state-of-the-art warehouse facilities located throughout the United States that offer climate control, theft protection, and inventory management. Flexible durations ensure you can store your items for the exact amount of time you need, and we offer the first 30 days free of charge! If you have questions about how Upline Moving can help you plan for your next relocation, call our Bay Area movers to speak with a friendly and knowledgeable member of our team. You may also request more information or schedule an up-front quote using our online form at your convenience.